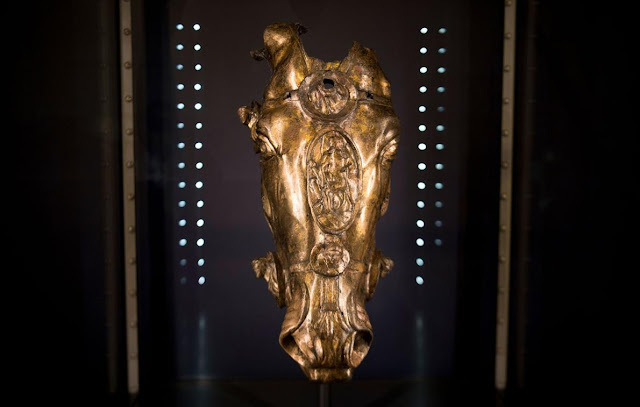 A search of a farmer's land in Lahnau, Germany became very interesting when lots of bronze fragments were uncovered, the trail of buried fragments lead to a 36-foot well in which a bronze horse head, life-sized, weighing 28 pounds, covered with gold and adorned with golden leaves were found. The year 9 A.D marked the event of an ambush from German warriors on three legions of Roman soldiers led by general Publius Quinctilius Varus. The Germans destroyed their enemies, the surviving Romans retreated and set up a northern perimeter along the Rhine River. It was believed that prior to this event, Germans and Romans did not live alongside each other and did not trade either. 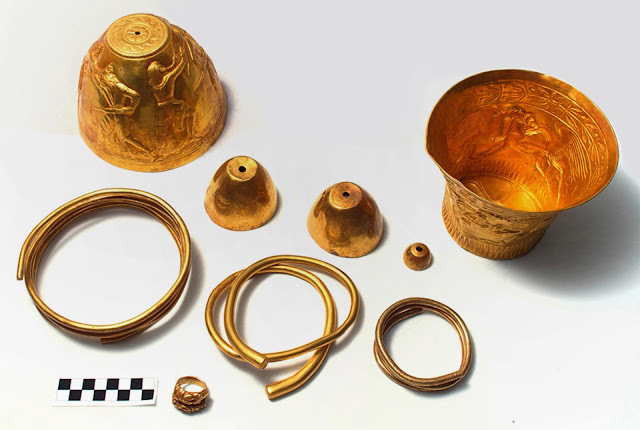 However, along with the bronze horse head, a complete Roman settlement, dating back to 4 B.C, covering approximately 20 acres with no military buildings and no signs of battle, shows that the Romans were living next to and traded peacefully with Germans for years, right up until the Teutoburg defeat.